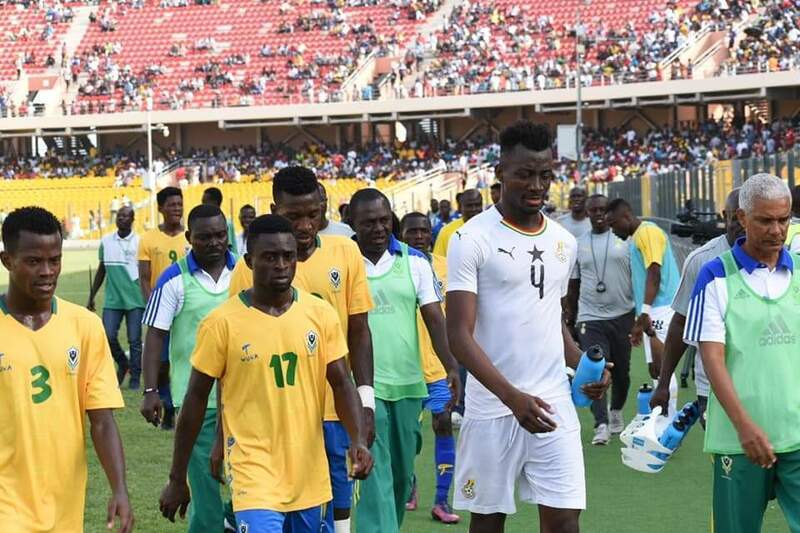 Ghana’s U-23 national team the Black Meteors took a giant step toward qualifying for the Under 23 AFCON in Egypt after walloping Gabon 4-0 in a game played at the Accra Sports Stadium on Saturday. The home side started the game on the front foot, making early incursions to the Gabonese vital area. Kwabena Owusu had the first clear chance on goal in the fourth minute but his effort from close range went wide. Poor defensive work by Zakaria nearly gave the Gabonese the opener but Meteors goalkeeper Kwame Baah pulled a brilliant save from Babicka Shavi to keep Ghana in the game. Howver, the deadlock was finally broken in the 16th minute after Kwabena Owusu curled an inviting ball to the left corner where Osman Bukari popped up to finish brilliantly. In spite of the late scare from the Gabonese, Ghana finished the first half with their lead intact. Bernard Tekpertey replaced Benjamin Tetteh just after the break and scored Ghana’s second goal with his first touch of the game. The Gabonese who were contented to sit back hit the Meteors on counter attacks but the hosts’ midfielder Simon Zibo thwarted all their efforts. Ghana had the third goal through Osman Bukari in the 78th minute as the Slovakian-based attacker hit the roof of the net with a splendid effort after sneaking through the Gabonese backline. Coach Ibrahim Tanko brought on Isaac Twum for Joseph Paintsil to stabilize the midfield and it worked to perfection as skipper Yaw Yeboah who was the best player on the field had more room to operate. With only two minutes remaining, Bukari completed a brace after pouncing on a loose ball and racing into the Gabonese penalty area to unleash a ferocious strike and make it four for Ghana. Bukari’s hat-trick opened the way for the Meteors to reach the finals in Egypt scheduled for later this year.